Bournemouth Flight Compensation - We fight the Airlines for you! Been waiting hours for your departure at Bournemouth Airport? Located roughly seven kilometres north-east of Bournemouth Town, this large international airport is in a period of transition.As recently as 2008, over one million passengers went through the airport each year. Unfortunately, the airport’s popularity fell. In 2013, the airport served just a little more than 700,000 passengers annually.Recently, a £45 million redevelopment plan was implemented by the Manchester Airport Group, the airport’s owner. By 2025, the newly redesigned Bournemouth International Airport will be ready to handle up to two million passengers a year. These are all airlines primarily known for offering low cost flights to popular holiday destinations. Direct flights are available to Dublin, Geneva, Ibiza, Faro, Greece, Spain, Turkey, Egypt and more. Because many of these are popular holiday vacation spots, the airport tends to become busier during the summer season. Bournemouth has an interesting history. The location wasn’t always a commercial airport. In 1941, the site was used for RAF paratrooper training as well as a joint glider base for the U.K. and U.S. The site has important historical significance, too. The hardened runways helped the U.S. prepare for both D-Day and the Battle of Normandy. After the war, the airport was run by the Ministry of Civil Aviation. From 1944 until 1946, Bournemouth was the country’s only transatlantic airport. They provided service to New York, Washington, Sydney, Cairo and other major world cities. Eventually, Heathrow Airport opened in 1946, which provided more transatlantic options to U.K. travellers. In 1969, the airfield had new ownership. Dorset Councils and the Bournemouth Corporation purchased the airport from the government. They emphasised the commercial aspect to the airport’s operations, instead of the quasi-commercial/military uses of the past. In 1995, this now completely commercial airport was sold to the National Express Group. Later, in 2001, National Express sold the airport to the Manchester Airport Group, who remain the current owners. How Customer-Friendly is the Airport? Bournemouth is an important part of U.K. aviation history. From military base to commercial travel hub, Bournemouth International has consistently helped connect the U.K. to the rest of the world. But how quick and easy is the Bournemouth travel experience for passengers? Bournemouth airport aviation setbacks can ruin a holiday or business trip. 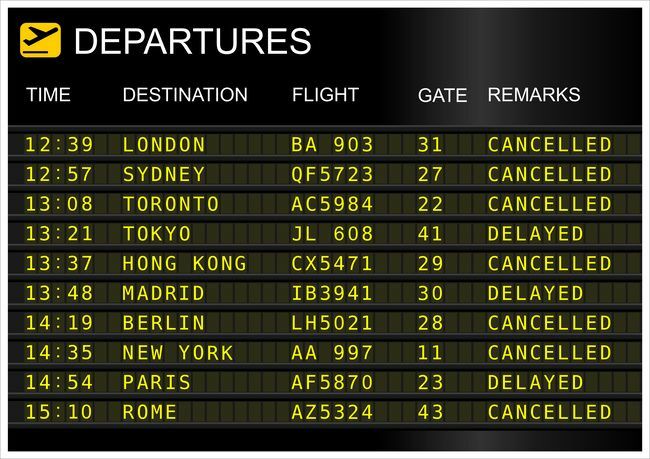 Even a short suspension can affect connecting flights. Unfortunately, airports aren’t always as consumer focused as they need to be. The best way to get compensated is by using the legal framework provided by the government; alongside AirClaims. Click the button below to learn more about your rights as an airline passenger.